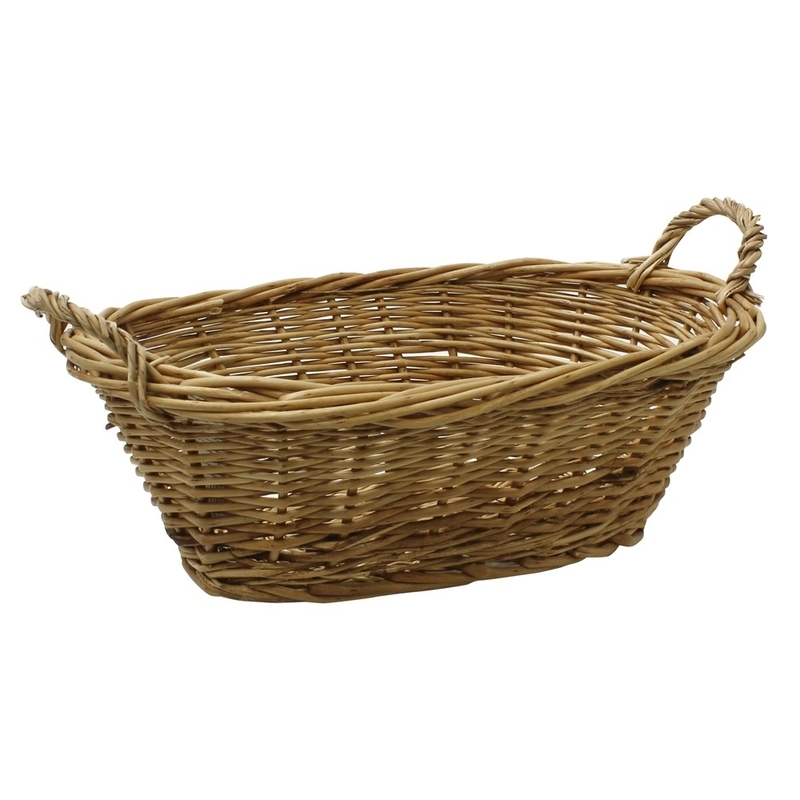 Utilise this basket in as many ways as you please, use for shopping, picnics or simply storage in the home. Pop in bread during lunch or dinner or a selection of jams the list is endless, it's so practical. The traditional style means it suits most decors and the wicker is expertly woven so no two pieces are ever the same. Features a loop carry handle for comfort and ease of use. Perfect shop displays too. Size: H:9 x W:31 x D:21cm approx. Delivery shall occur when the carrier arrives at the address given to the company at time of order. Every effort will be made by the company to deliver product(s) within the period specified by the company, however such dates will not constitute part of the contract. The company can accept no responsibility in the event that product(s) are left as instructed by you without your presence at the time of delivery. If you fail to accept delivery of product(s) when delivered, the company reserves the right to attempt delivery of the product(s) at a later date and to invoice you a further delivery charge. If the product(s) are returned to the company by the carrier due to delivery not being rearranged or product(s) not being connected, you will be invoiced the cost of delivery and the return cost. Risk of damage to or loss of the goods shall pass to you upon delivery.